Hutch Harris, leader of Portland, Ore.’s The Thermals, doesn’t sing so much as he projects. Like a raving indie-rock preacherman with a delivery that falls somewhere between Craig Finn and Ted Leo, Harris hollers with a finely tuned melodic sensibility. Last time out (on 2006’s The Body, The Blood, The Machine), he announced over crunchy power chords, “Here’s your future!” with the pessimistic verve of a sandwich-board lunatic predicting the end of the world—or at least his country. Now We Can See feels both like a nod to America’s past grievances and its potentially bright future. 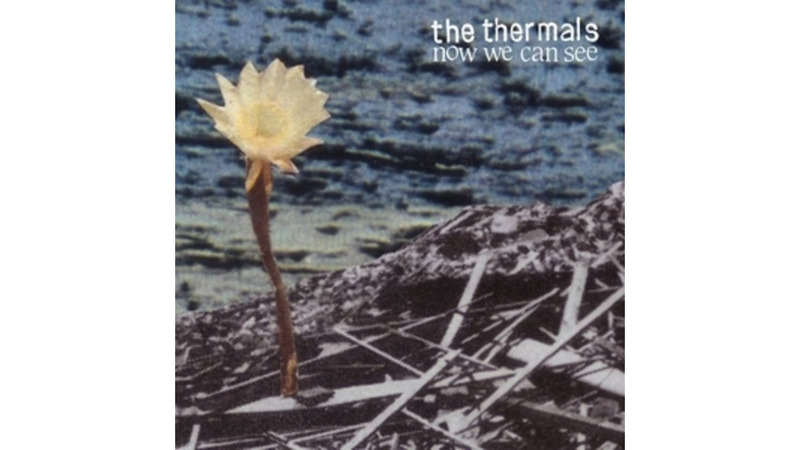 The Thermals have never shied from topics like war, politics and religion, and this record’s self-titled track points to an uneasy optimism: “Now we can see / Now that our vision is strong / We don’t need to admit we were wrong / Now we can see / But the images don’t stick / Our enemies lie dead on the ground / And still we kick.” With a new label (Kill Rock Stars) and a new president in office, one of the Pacific Northwest’s finest rock ’n’ roll bands may be looking forward to the future, but don’t expect them to lighten up just yet. There’s work to do.